The study also noted that some firefighters who died from cardiac arrest suffered from an enlarged heart or increased wall thickness. Corpus Christi (KIII News) — Being a firefighter can be a life-threatening job, but not in the way you might think. A new study shows that of firefighters who had job-related deaths, many died from cardiac arrest. The Journal of the American Heart Association not only released a report linking firefighters and cardiac arrest but also with heart disease. The Association looked at autopsy records for U.S. men who died between 1999 and 2014. From that, researchers found 276 out of 627 deaths were from cardiac arrest. 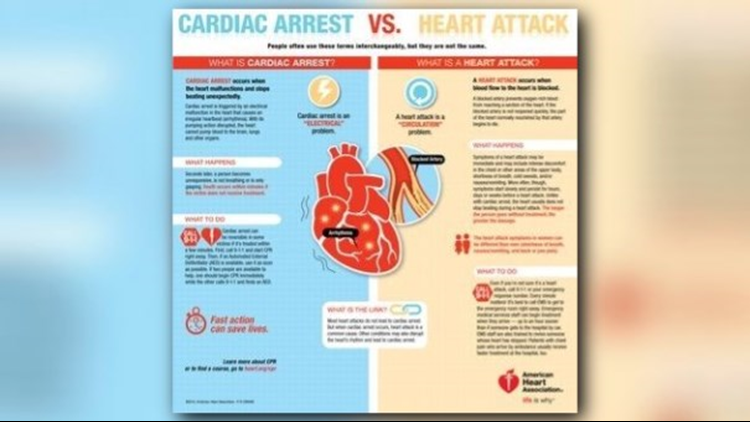 Cardiac arrest means your heart stops, and it can stop for many reasons, but the study shows the most common reason in firefighters is cardiovascular disease. The study also noted that some firefighters who died from cardiac arrest suffered from an enlarged heart or increased wall thickness. To reduce the risk of cardiovascular disease, the American Heart Association recommends getting active, eating better and no smoking.